What girl doesn’t grow up wanting to be a mermaid? Daryl Hannah in Splash and Cher in Mermaids were childhood idols of mine, so this Blue Mermaid Cocktail – a fun twist on a Blue Lagoon cocktail – is an ode to them and youthful aspirations of the aquatic sort. 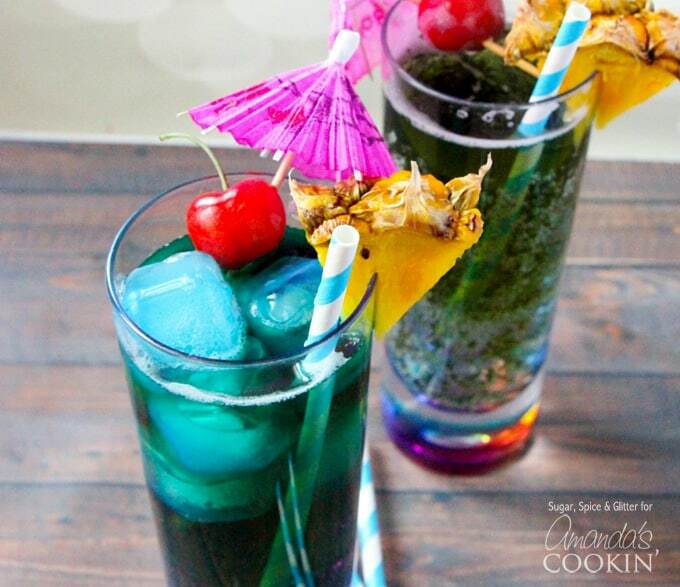 Blue drinks are quite popular and perfect for poolside! 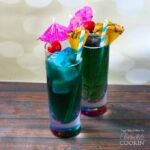 This is a tropical cocktail, much like our pina colada recipe, which I created for our family’s Little Mermaid movie night. I had no idea that there was a drink called a Blue Lagoon that was similar, but having now tasted both of these blue drinks they will definitely be in high rotation this summer. 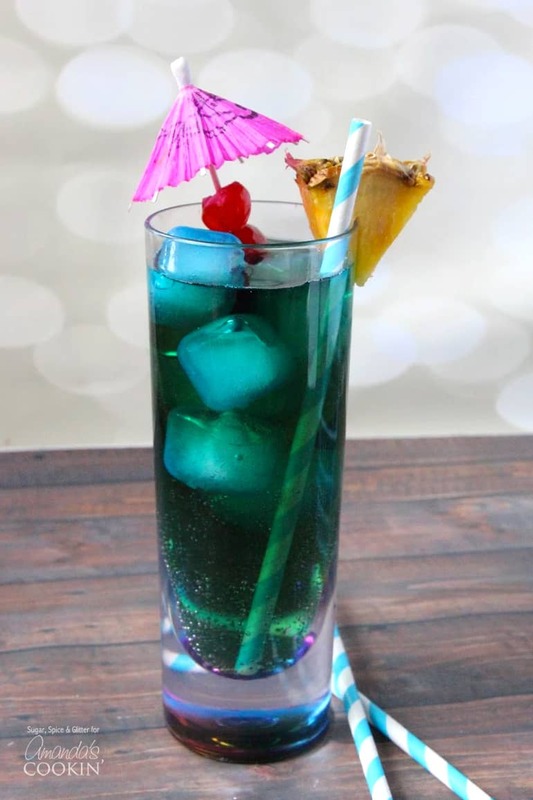 Among popular blue drinks is the Blue Lagoon cocktail which is 1 part vodka, 1 part Blue Curaçao, and 4 parts lemonade. It’s a fun, citrusy blue mixed drink that tastes like a lemonade with a slight orange tang. My Blue Mermaid cocktail on the other hand, is 2 parts Blue Curaçao and 4 parts cream soda, resulting in a vanilla-citrus blue drink that has a slight ice cream shoppe nostalgia while being fresh and exciting. If you’re a creamsicle fan, but recipe will definitely hit the spot! if you’re a margarita fan and love the blue, try this Blue Margarita recipe! Fill a tall glass with ice and pour the cream soda or lemonade over ice. 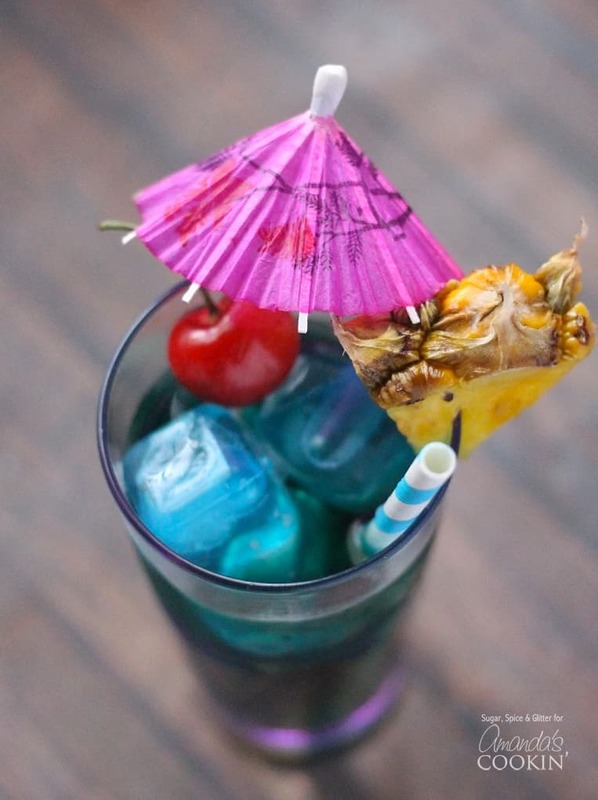 Top with Blue Curaçao and optional garnish. Serve. 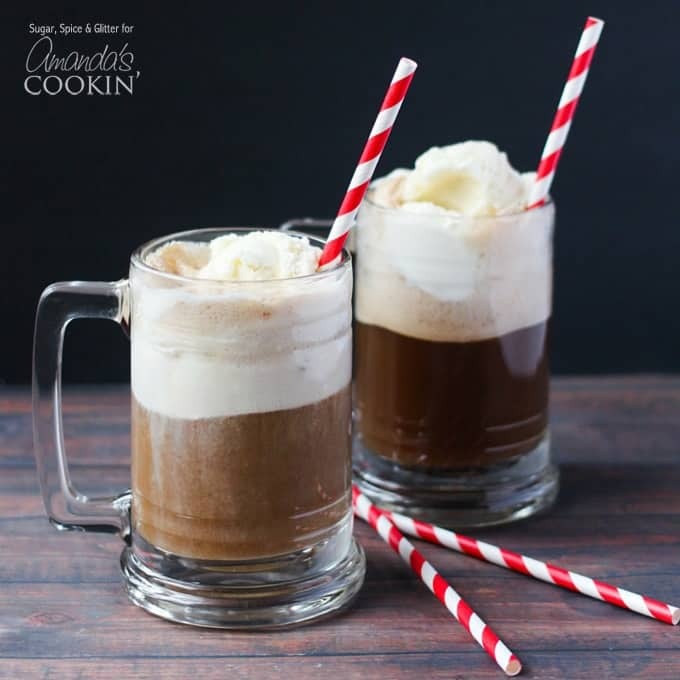 If it’s nostalgia you crave, this Root Beer Float Cocktail will remind you of summers past, but with a kick just for grown-ups! 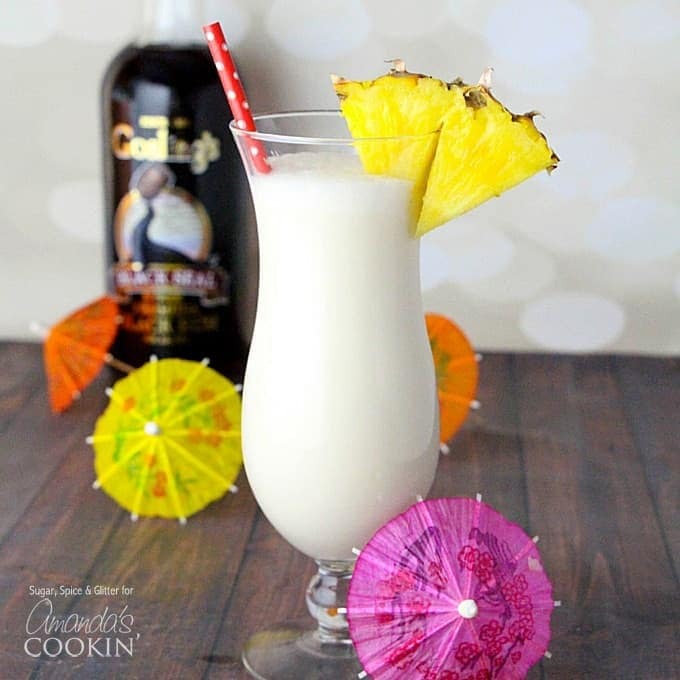 Summertime just wouldn’t be complete without at least one poolside Pina Colada! It’s the perfect fruity drink, but this one doesn’t use the premade mixes! Similar to that is our Coconut Rum Mojitos, the perfect summer mojito! 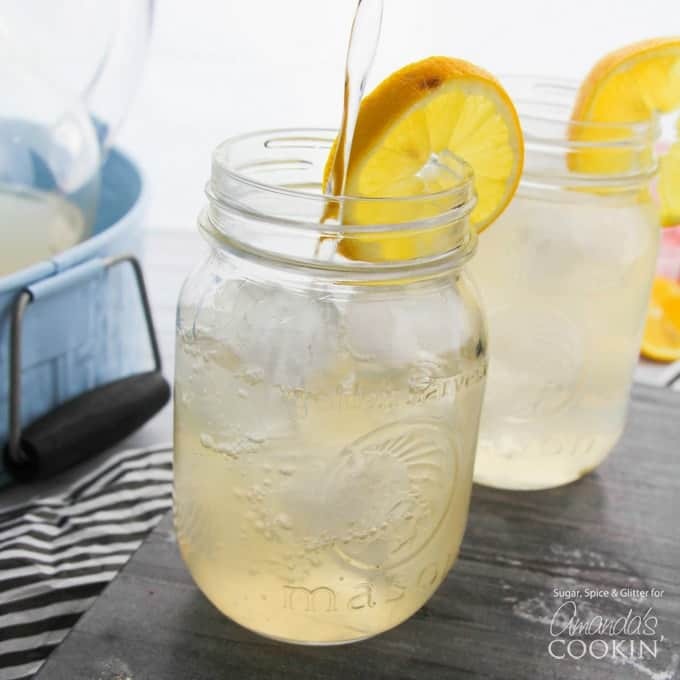 Lynchburg Lemonade (Jack Daniels spiked lemonade) is another crowd favorite. Perfect for summer BBQ’s or potlucks, you can make double or triple the recipe for as many people as you need. This Rum Punch recipe is probably one of the best crowd drinks out there. 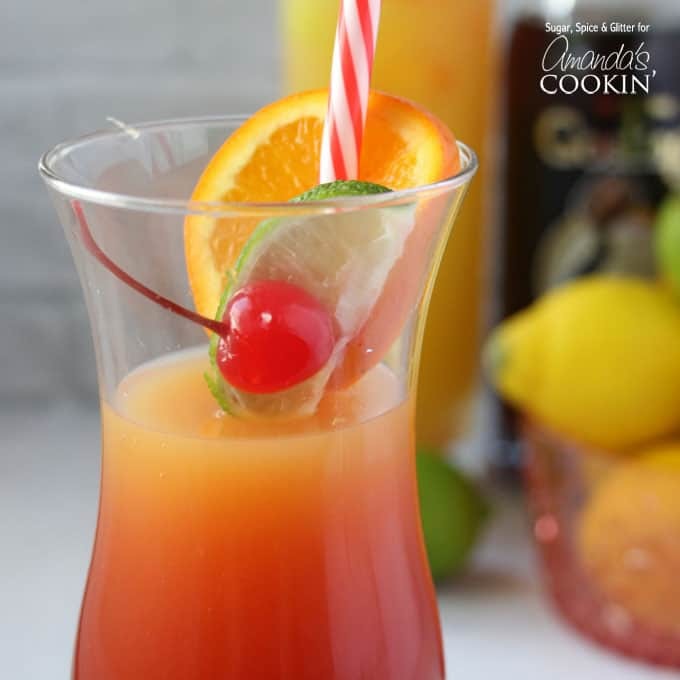 This fruit concoction is perfect for gatherings of all kinds, whether it’s Bridal Showers, BBQ’s, holiday parties, you name it. If you are partial to sangria, this White Sangria recipe is ideal for summer, filled with fresh fruits and just the right amount of fizz.